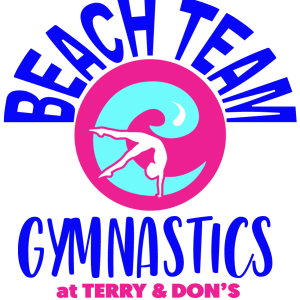 Offering gymnastics & tumbling classes from Preschool to Advanced as well as Pre-Teams to Competitive Teams through Level 10, Beach Team Gymnastics has 30 years of continued success as the premier gymnastics facility in Myrtle Beach. 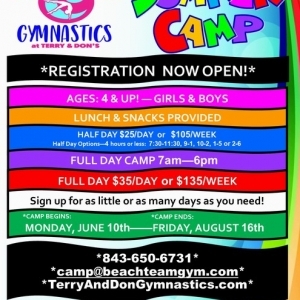 We also have Summer Camp M-F 7am-6pm as well as random Camp Days during the school year when school is out. FunGyms (ages 5+), PlayZones (8mos+), Sleepovers & other events can be found on our event calendar.